Our spokesman Kyle Lockwood successfully campaigned the New Zealand Government for the introduction of the 18+ Evidence of Age Document card in 1998. At the time New Zealanders could not enter a bar or purchase alcohol if they were under 20 (or under 18 if accompanied by a parent) Driver licences did not have a photograph, and in practice young kiwis who appeared under 25 were faced with a ridiculous situation where they could only obtain entry to a bar with a New Zealand Passport, which is normally used to gain entry to another country, not a bar! Kyle argued that passports were expensive documents to replace if lost, damaged or stolen and campaigned for the introduction of an 18+ card, the card could also be applied for by international visitors, saving them the expense and inconvenience of replacing their passport if lost, damaged or stolen. After press coverage and campaigning the then Minister of Youth Affairs and Minister of Justice, Kyle appeared before a parliamentary select committee, arguing the need for an 18+ Card, he also presented design concepts for the Evidence of Age Card. The committee concluded that cost-effective cards should be introduced for youth who do not want to use a drivers licence, or a passport to purchase alcohol. 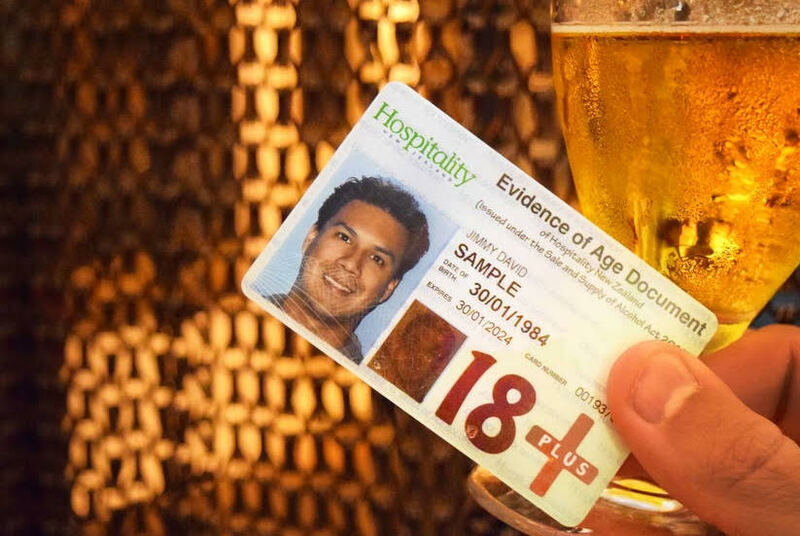 responsibility for issuing the card was passed to Hospitality New Zealand, and the card could be applied for at New Zealand PostShops after the passing of the Sale of Liquor Amendment Act 1999 (s3) in 1999.